Beacon Hill Club members have enjoyed the luxury of our private outdoor skating rink since 1956 and now, over the course of any given winter day, the BHC rink is enjoyed by hundreds of figure skaters, recreational skaters, and hockey players, and watched by scores of fans and supporters. This winter oasis features a brand new state-of-the-art outdoor ice rink in the heart of a secluded woods. Its quietly beautiful surroundings create an unparalleled skating experience for our members. The rink features lighting for an evening of skating under the stars, Friday night hockey games, early morning pond hockey and our member's favorite - open skate. BHC members enjoy a winter full of magical memories on this picturesque spot. The BHC hockey program has a rich, 50-year history of exciting rivalries and enduring camaraderie that has attracted more than 300 members and hockey members who actively participate in the program. 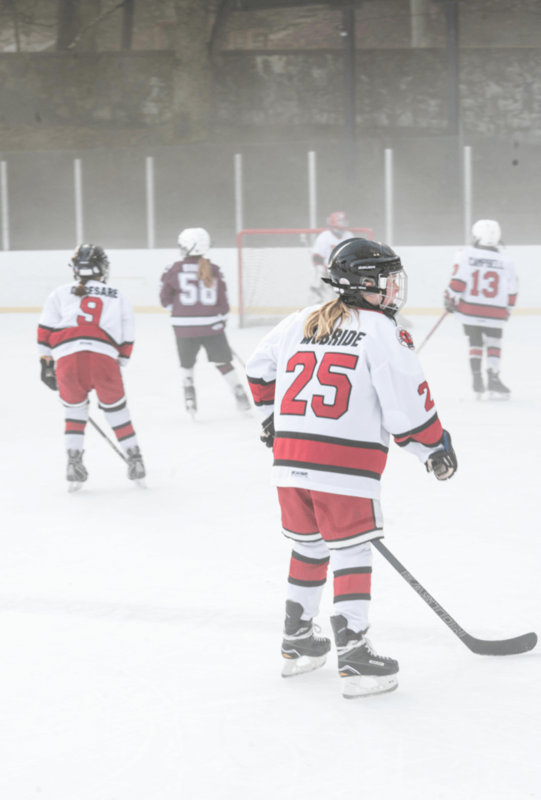 The hockey curriculum offers girls and boys a combination of instructional practices and a competitive game schedule at all skill levels. Boys and girls play together on the Developmental, Mite and Squirt teams. BHC also offers a vigorous adult program for all skill levels. The rink at Beacon Hill Club is one of only a few fully functional open-air ice rinks in the state. The ice rink at Beacon Hill Club has been a staple of the club since its opening and to this day is the only ice rink in Summit. It is the center for a busy ice skating program for all ages. The Beacon Blades program is a members-only skating club for girls and boys who are interested in improving their figure-skating skills. Lessons for members, both young and old, are available and we also offer general skating hours for members throughout the week. The highlight of the figure skating season is the season-closing Blades recital. 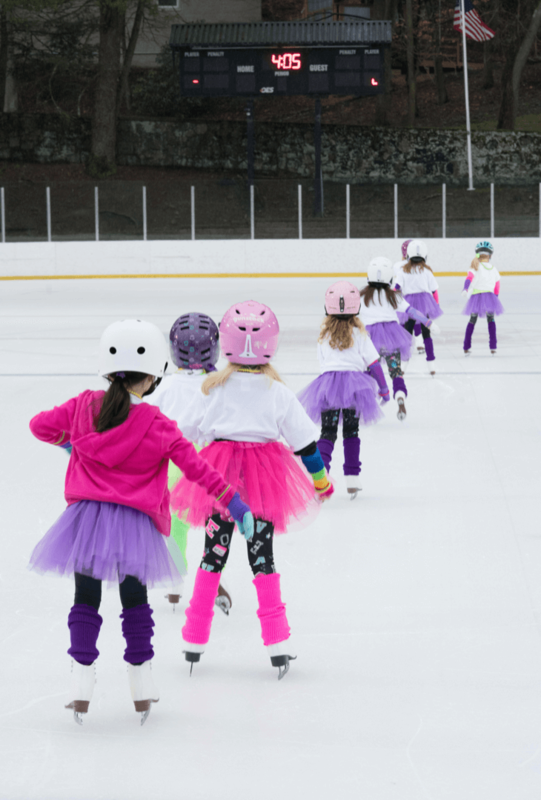 Learn-to-Skate is a beginner ice skating program for 4- to 6-year-old boys and girls who will learn basic skills such as balancing, gliding forward and backward, stopping, lunges and bunny hops. The instructor, Dawn Cushing McGowan, is a USFSA Gold Medalist Figure Skater who has been teaching children of all ages to skate for three decades. I am a new member at the club and just laced up skates for the first time in over 3 years. After a friend saw me out on the ice, I got a number of texts that night from Pete and the C2 team.....they could not have been nicer or more welcoming despite my rusty skills. Hoping I can live up to it, but it is clearly going to be fun trying! BHC hockey has been a wonderful experience for my 7 and 9 year old children. The team experience, coaching, instruction, and rink have helped make hockey my daughter’s and son’s favorite sport over the last 2 years. Everyone enjoys the practicing and especially the games!